These teardowns make me cringe every damn time! The thought of someone purchasing a brand new phone, likely at full price, and then chopping it to pieces should be illegal, slap-worthy or involve something else completely painful. OK, I’ll admit that it’s still pretty cool and I’m glad someone does it so that we have posts like this! The Droid 2 is the latest victim and has few surprises under the hood, but really just provides some entertaining shots of its guts including the one below of the newly enhanced keyboard. 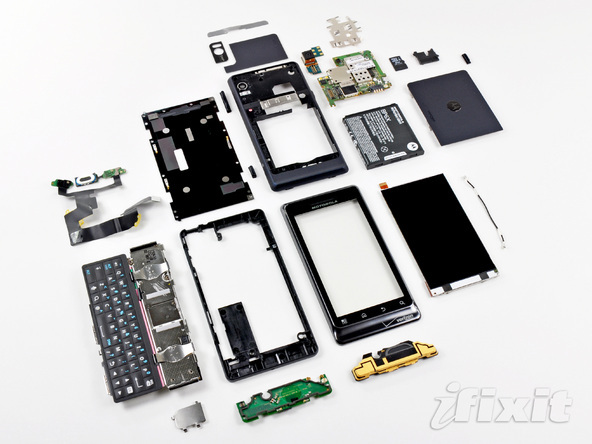 Check out the rest of the teardown over at iFixit.